KAMA Ayurveda’s Rose Orange & Cinnamon soap is a perfect blend enriched with Organic extra virgin coconut, Jojoba and Castor oil. Pure Rose oil balances the pH of the skin and acts as a toner. Orange & Cinnamon oil helps in skin cell growth, increases blood circulation and removes toxins. Coconut & Jojoba oil relieve dryness, and increases elasticity of the skin which delays ageing, also hydrates and moisturizes the skin. Castor Oil has anti – inflammatory properties and is a natural nourishing agent to enhance the texture of the skin. Being a natural handmade product there is bound to be variations in scent, shape and shade. 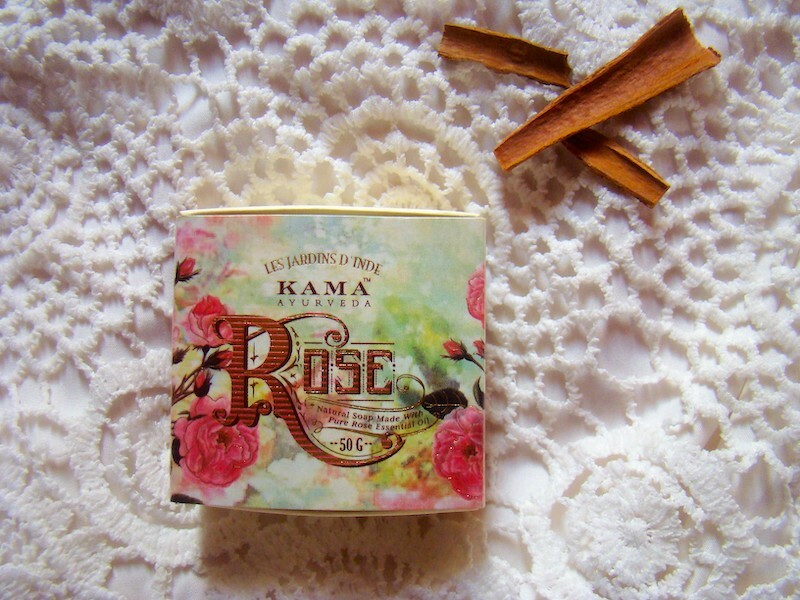 I am using this Kama Ayurveda Rose, Orange & Cinnamon Soap since a couple of weeks now and it keeps the dryness of my skin at bay. Since it contains castor oil, coconut oil, jojoba oil, and rose oil, it makes my dry skin feel so nourished and moisturised. Also, the soap smells divinely of roses which is not very strong and lasts all day long. Also, it doesn’t cause any itchiness or irritate my skin which most of the soaps do. It retails for ₹495 for 125g of product, which is quite on the pricier side. Ever since I started using the soap my skin a lot healthier than before and keeps it hydrated for a very long time. The only downside about this soap is the price and I feel it is a bit overpriced. However, since it has all natural and organic ingredients in it, it is fair enough. It doesn’t get used up quickly as well and lathers very nicely on the body. 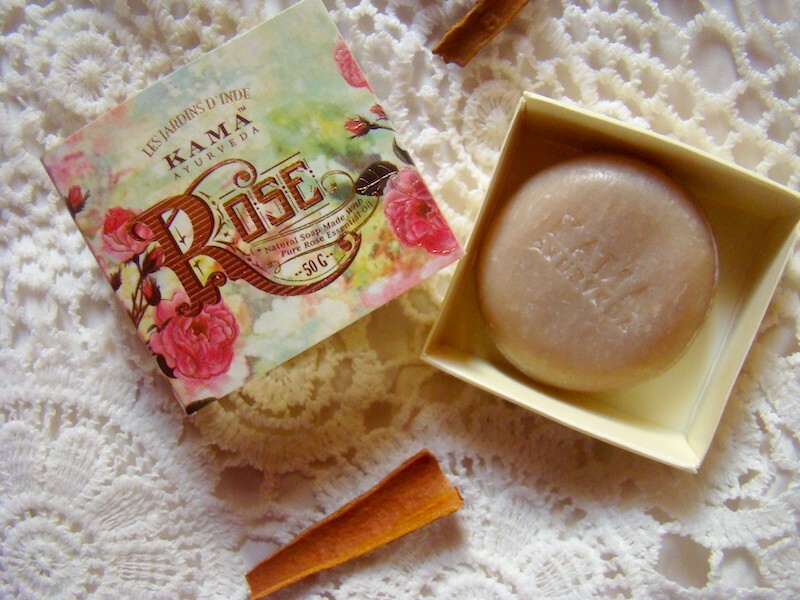 I can also notice a difference in the texture of my skin and feel that it has improved ever since I started using Kama Ayurveda Rose, Orange & Cinnamon Soap. I would recommend this soap if you’re looking for a natural and handmade soap that contains 100% organic ingredients and if you’re fine with spending an extra amount. 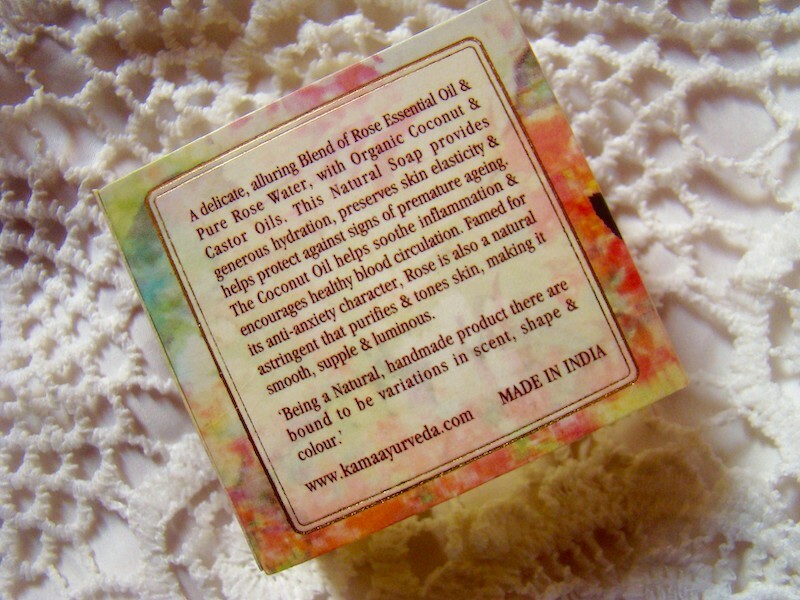 CLICK HERE to buy Kama Ayurveda Rose, Orange & Cinnamon Soap online or get yours from the Kama Ayurveda Store in your city.